Even with growing access to data that was formerly reserved only for the financial elite, there is still a great deal of uncertainty about how to use available financial tools to help reduce the anxiety inherent in the process of purchasing a home. Perhaps the most effective of these tools is the mortgage calculator. A mortgage calculator is a tool that can help a home buyer determine and plan the financial aspects of making a real estate purchase. For instance, even the most basic of mortgage calculators can give an estimate of the range of monthly payments that a homeowner will be responsible for based on certain interest rates and base prices that are entered. Mortgage calculators can also determine what Private Mortgage Insurance rates will be if the down payment on a property is lower than 20%. There are many other aspects of making a home purchase where a mortgage calculator can help, including comparing rates from different lenders in different geographical areas. What Questions Do They Answer? Mortgage Calculators allow you to answer many of the financial questions surrounding the process of purchasing a home from loan principal balance to compounded and periodic interest rates. 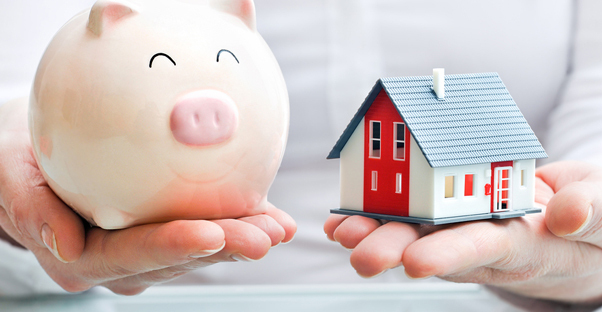 By determining these rates, prospective buyers can determine the appropriate down-payment costs to achieve the loan payment rates that they desire, as well as if they can afford all of the associated costs in general. Your lender can then help you to compare your approximations for varying situations to test which loan and interest terms are best for your financial situation. Depending on the calculator used, they can also factor in potential mortgage payments and estimated tax values to give you a clearer picture of the total costs of home ownership. Aside from the technical and financial questions that a homeowner may have when purchasing a home, a mortgage calculator can help to answer the more qualitative questions as well. Once payments are determined, a mortgage calculator can help a homebuyer determine if the price of the home is actually worth the expense that follows. Mortgage calculator results, when taken into consideration along with mapping applications, can help to determine other aspects of buying a home, such as school districts in the area and community fellowship opportunities in the neighborhood. The primary way in which a mortgage calculator is helpful is as a comparison tool for home buyers when they are determining the affordability of loan payments. In previous generations, the lending institutions would be the only party with full access to prospective interest rates and payment approximations. An added benefit is that these calculators are already set up to calculate intricate and complicated formulas. While you can often calculate payment terms on your own using a spreadsheet application, the time involved in setting up appropriate tables without any mistakes makes online mortgage calculators a more attractive option. There is now virtually no way in which a prospective homebuyer cannot be well-prepared when buying a home. Overall, there is no reason not to take full advantage of the free online mortgage calculators that are online for your convenience. You can now serve as your own financial adviser and save yourself a great deal of money while you amass the information that will allow you to have a truthful conversation with your lending institution.